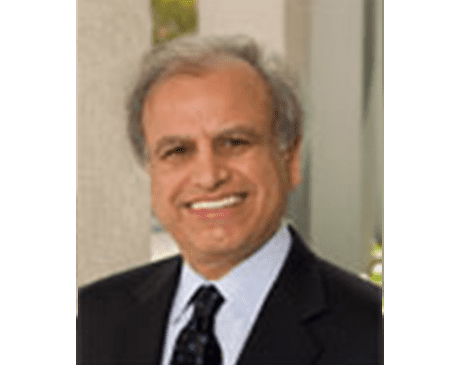 About George A. El-Bahri, M.D. George A. El-Bahri, M.D., is board-certified by the American Board of Orthopedics Surgery and is an American Academy of Orthopaedic Surgeons Fellow. Dr. Georges A. El-Bahri has been dedicated to his patient’s well-being, and orthopedic needs since he founded the practice 41 years ago. Dr. Georges A. El-Bahri specializes in General Orthopedics with a concentration in Total Hip Replacement and Total Knee replacement. He completed his residency in Orthopedics at the former University Hospital in Jacksonville, Florida, currently UF Health and started his private practice in July 1978. Dr. El-Bahri understands the value in building meaningful doctor-patient relationships. He believes that trust, mutual understanding, and transparency are fundamental to providing better, more rewarding care. Dr. El-Bahri strives to provide his patients with a variety of treatments such as orthopedic care in arthroscopic surgery, joint replacement surgery, sports medicine, and general orthopedic care. Call the office or schedule an appointment online today to learn more about Dr. El-Bahri and Bahri Orthopedics and Sports Medicine Clinic.